India captain Virat Kohli was, on Wednesday, nominated for the prestigious Polly Umrigar award presented to the International Cricketer of the Year while all-rounder Ravichandran Ashwin will be receiving the Dilip Sardesai award for Best Performance in Bilateral Series. Virat Kohli and Ravichandran Ashwin had plenty to cheer for following India’s 75-run win over Australia in the second Test at Bangalore. While Kohli’s aggressive captaincy proved to be decisive, Ashwin’s 25th five-wicket haul helped India run through Australia to level the four-match series 1-1. 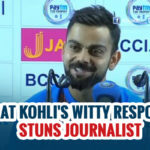 For Kohli, this was the third time that he had won the Polly Umrigar Trophy, having secured the award for the 2011/12 season as well as for the 2014/15 season. The 2015/16 season saw Kohli reach the peak of his powers in ODIs and T20Is. In 10 ODIs, he smashed 626 runs at an average of 62.6 with three centuries while in 15 T20Is, he blasted 669 runs at an average of 95 with a strike-rate of 140.57. 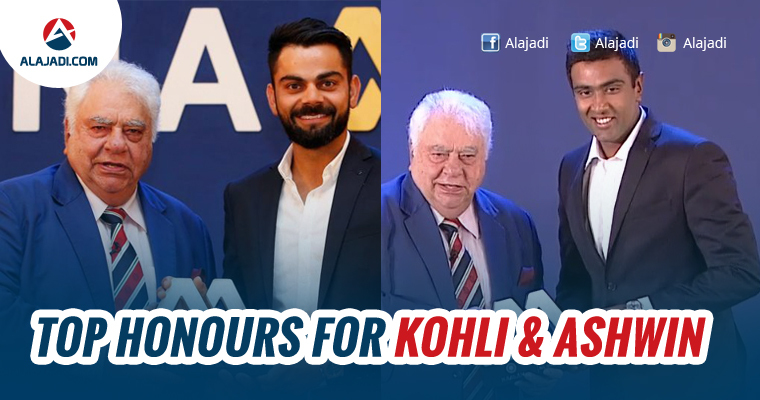 Along with Kohli and Ashwin, there were some notable moments at the 2017 awards. For the first time in the history of the awards, women cricketers were honoured for their services. Shanta Rangaswamy, the former India women’s captain, got the BCCI Lifetime achievement award from Ajit Wadekar and she became the first woman player to be felicitated by the BCCI. The BCCI Annual Awards committee consisting of N. Ram, Ramachandra Guha and Diana Edulji had nominated former domestic cricketers Rajinder Goel and Padmakar Shivalkar for the Col. C.K. Nayudu Lifetime Achievement Award. The Mumbai Cricket Association has been chosen as the State Association of the Season (2015-16) for winning the Ranji Trophy, the C.K. Nayudu Trophy and also the women’s Plate League Group. They were runner-up in the Cooch Behar Trophy, the Vijay Merchant Trophy and the women’s One-Day Elite Group.